Slice the bitter gourd & keep it aside. Take a bowl add turmeric powder,red chilli powder,Amchur powder, coriander powder,yohurt, garm flour, salt & mix well. Add sliced bitter gourd & marinate. Rest this mixture 10 to 15 mins. Heat oil in a pan, deep fry the bitter gourd until golden brown. 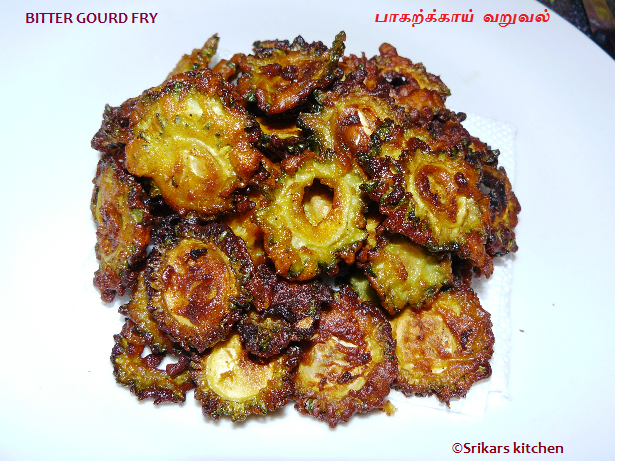 Delicious and healthy looking bitter gourd fry. Amazingly prepared.